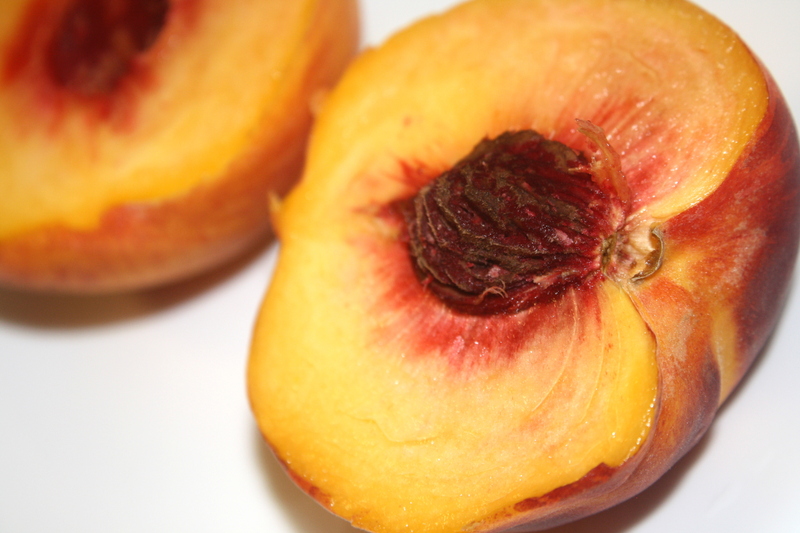 Free high resolution photo of a peach cut in half. This picture shows a close up of half of a peach with the pit still embedded in it. You can see the other half of the peach in the background. Peaches are a summer fruit that are delicious and healthy. Free image for any use.